Ath is well known for its ducasse procession in August. 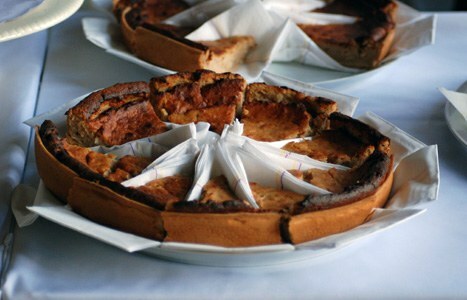 On this occasion masteilles tarts are served – a much-loved dessert. Ath residents only eat them during the festival, but they can be found all through the year in certain bakeries in the town centre. Another sweet delicacy that delights the young and old alike is the Saint-Joseph macaroon. For a number of decades, this treat has been made by hand by the Pilate confectioners (in March). The Coprosain cooperative has been promoting the local sale of farmhouse and organic products in Ath and far beyond for many years. In the same spirit, the coopérATHive brings together many regional producers on the second Saturday of every month at the Quai de l'Entrepôt. Inside the walls of the Irchonwelz Castle (13th century) the Brasserie des Légendes has its home. In 2000, a few days before the ducasse, the brewery presented its first Gouyasse beer. Success was instantaneous. With its pale colour, smooth mousse, 6 % alc/vol and typical aromas the Gouyasse has become the beer of the ducasse. 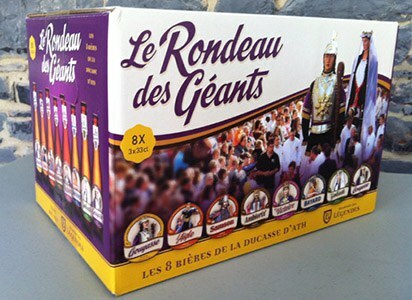 A number of other traditional beers are currently available including "The Rondeau des Géants".